When headed to college it’s easy to think of the dorm stuff that seems like a necessity. Dorm bedding, towels, and linens all come to mind. And then there comes the items that we don’t necessarily need, but we definitely want, such as televisions, DVD players, and gaming systems. Those are easy to think of too. Then there are the items that fall through the cracks and are easily forgotten when buying things for your dorm. Prevent a major “UH OH” moment when you arrive at school by picking up these 5 items ahead of time. 1. 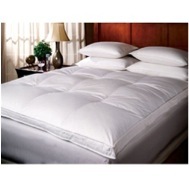 Bed Topper - A good night’s sleep is of the utmost importance as a busy college student. Many students who have a hard time sleeping, or just want their bed at school to seem more like home, should look into bed toppers. They will increase the comfort level of your dorm bed a ton! Whether you’re looking for a simple egg crate, or a luxury down top featherbed, there is a bed topper for your sleeping needs at your price point. 2. Hangers - Hangers are so crucial, yet so easily forgotten. You literally can’t even unpack unless you have them! It seems obvious to remember to buy hangers, but trust us, they slip even the most proactive shoppers’ minds. Definitely put hangers on your list of things to buy, and if you have a ton of clothes that you’re bringing with you to school, space-saving hangers like these might be a good idea. 3. 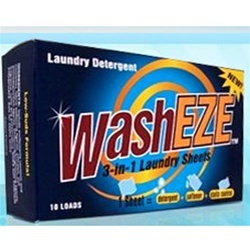 Laundry Detergent - It’s so easy to focus on the “big ticket” items, or the fact that you’ll be able to pick up anything you’ve forgotten once you arrive on campus, that such important staples like laundry detergent are forgotten. Stock up on necessities like these 3-In-1 Laundry Sheets from the get-go, and you won’t have to worry about leaving campus every couple of weeks to buy more. 4. Flip Flops - Any college-bound student has heard all about the dangers and germs of dorm showers, but sometimes remembering to buy a pair of shower sandals falls by the wayside. And some people don’t even seem to care whether they have them at all. Don’t be careless– get some flip flops like these to wear in the shower! You’ll be cleaner and healthier that way. 5. A Safe - Some of us are lucky enough to go into college aware of our roommates (and their sanity…or lack thereof), and others of us arrive at school not knowing who the person that we’ll be living with for the next 9 months is. It’s important to have a safe, like this awesome Mini Vault, to thwart off any potential thieves. 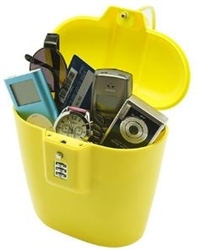 Have piece of mind when you’re away from your room, and sleep easy knowing your items are safe. Take the first step toward being ready for everything college has to throw at you with these dorm essentials, as well as anything else you might need from us here at DormCo.